One of my favorite things to eat are strawberries and growing up I have memories of picking strawberries that my family grew in our back yard and going strawberry picking with friends. Spending my teens in Florida I was well aware of strawberry season and the Strawberry Festival in Plant City. I can remember my grandmother buying a huge flat of strawberries and eating strawberry shortcake. There is just something about in season fresh strawberries. Living in El Paso our strawberries came from Mexico and California where the growing season is year round. While delicious the berries taste and even look different. Living back on the east coast I get excited when I see Florida berries in the grocery store during winter months. Plus it is a reminder that the North Carolina strawberry season will be here soon. One of my favorite things to make with strawberries is a simple spinach and strawberry salad. It is easy to put together and takes minutes to make. 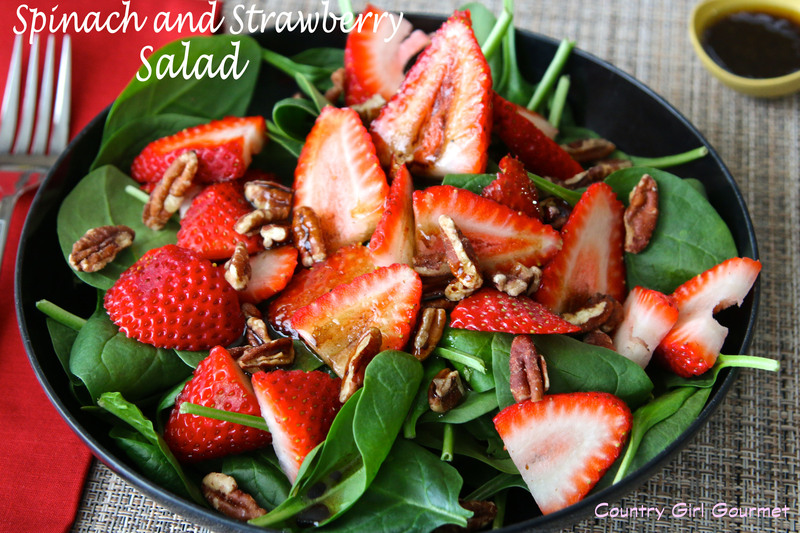 The honey balsamic dressing compliments the spinach and strawberries well. It is fresh, tasty and filling. If you want to you could add some gorgonzola or goat cheese but I prefer the salad without it. I usually eat this spinach and strawberry salad for a quick lunch but have made it for dinner adding a chicken breast. 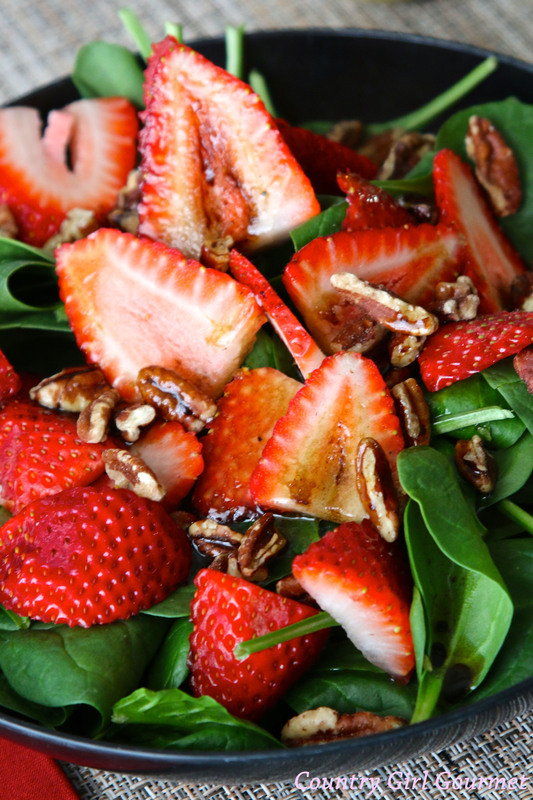 Combine the spinach, strawberries and pecans in a large bowl. Stir the balsamic vinegar and honey together in a bowl; slowly stream the olive oil into the mixture while whisking continuously. Season with salt and pepper. Drizzle the dressing over the salad just before serving.